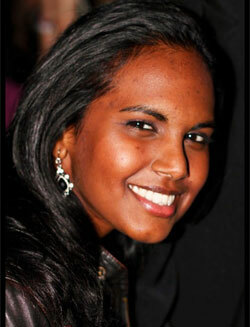 Law graduate Ms Kimera Chetty (23) has been selected as one of 60 independent adjudicators at the 33rd World Universities Debating Championships (WUDC) in Berlin in December and January. This will be the third time Chetty will be a judge at the championship – the largest international debate tournament in the world. She adjudicated at the championships in Botswana in 2011 where she judged the Grand Final under the English as a Foreign Language stream and also at the tournament held in the Manila, Philippines in January 2012 where she was the only member from the South African delegation to judge the semi-final of the Open Break stream. ‘I have been very lucky to have attended the WUDCs twice before and to have the costs subsidised by the tournaments for both events as it is very expensive to attend for the average student. This year I have also been asked to serve as a trainer for new speakers and judges at the competition, which I am excited about,’ said Chetty. Chetty assumed the Presidency position of the Howard College Debating Union in 2010. Through her participation in the Union, Chetty has acted as Deputy Chief Adjudicator at both the South African Universities National Debating Championships and the Pan-African Universities Debating Championships, as well as Chief Adjudicator at UKZN’s first invitational tournament. Chetty uses the wealth of experience gained from the union to propel her debating career. ‘I joined the Howard College Debating Union in my first year and it was one of the best life decisions I have ever made. Debating affords you the platform to hypothesize about solving the world’s biggest and most enduring problems and forces you to be more aware of the broader community and its circumstance,’ she said. Since graduating with her LLB in 2010, Chetty served her articles with Durban firm, Govender, Pather & Morgan, where she is still doing her articles of clerkship. She continues to gain invaluable experience in civil and criminal law matters with the hope of broadening her career to human rights law and public interest law.